A Chicago-area legislator plans to introduce a bill this week that aims to help Illinois expand its capacity of wind and solar energy, with an eventual goal of procuring 100 percent of the state’s energy from renewable sources. State Rep. Will Davis, D-Hazel Crest, announced Wednesday his intention to file the Path to 100 Act, which he says will expand the state’s share of renewable energy to 40 percent of total energy sources by 2030. 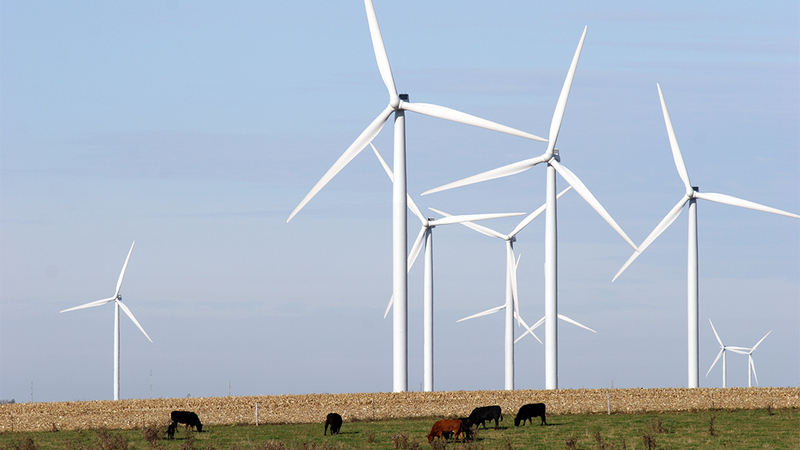 Current requirements under Illinois’ Renewable Portfolio Standard, or RPS, established a requirement of 25 percent renewable energy sources by 2025. Davis said the legislation would help Illinois build on progress made as a result of the 2016 Future Energy Jobs Act, which has been hailed as one of the most significant pieces of state energy legislation passed in the U.S. in decades. Specifically, Davis said the bill would allow the state to procure an estimated 6,000 megawatts of new utility-scale solar energy, 7,500 megawatts of new residential, commercial and community-scale solar power and 6,500 megawatts of new wind power. In 2017, Illinois ranked 33rd among states in solar energy growth, though experts have predicted that the state’s solar market will boom in the next few years. Davis’ bill also seeks to add funding to fully implement the state’s RPS. According to Davis’ office, Illinois currently generates less than 7 percent of its power from renewable sources, despite requirements for 16 percent renewables by 2020. “For the sake of our economy and our future, we need to get on the path to 100 percent clean, renewable electricity, and we can start today,” Davis said in a statement. Davis said the legislation would help achieve a campaign goal of new Gov. J.B. Pritzker, who vowed to increase renewable energy and recently signed Illinois onto a pact commiting the state to reducing greenhouse gas emissions consistent with targets set in the landmark 2015 Paris climate agreement. “The renewable energy industry is ready to invest billions of dollars in our state and deliver the clean, homegrown energy our citizens want,” Davis said in a statement. “I intend for this act to benefit our state equitably and spread the economic development dollars to Illinois communities throughout the state, and especially those that are most in need of jobs and economic growth. Davis said that state Sen. Bill Cunningham, D-Chicago, would sponsor the bill in the Illinois Senate.